There are no contracts or tie-ins with ChurchSuite - you can add or remove modules on your account at any time by simply emailing ChurchSuite Support. Your next billing cycle will reflect any changes made, and a pro-rata invoice for additional modules may also be raised in respect of the remainder of the current month. Removing a module from your organisation’s account is subject to the same terms of notice as cancelling your subscription. If you wish to cancel your subscription to a module, you must contact Support via email five working days before the end of the month. When adding or removing modules we will require verification of the change from the designated account contact with whom The Service was initially set up, or by another known contact within your organisation. 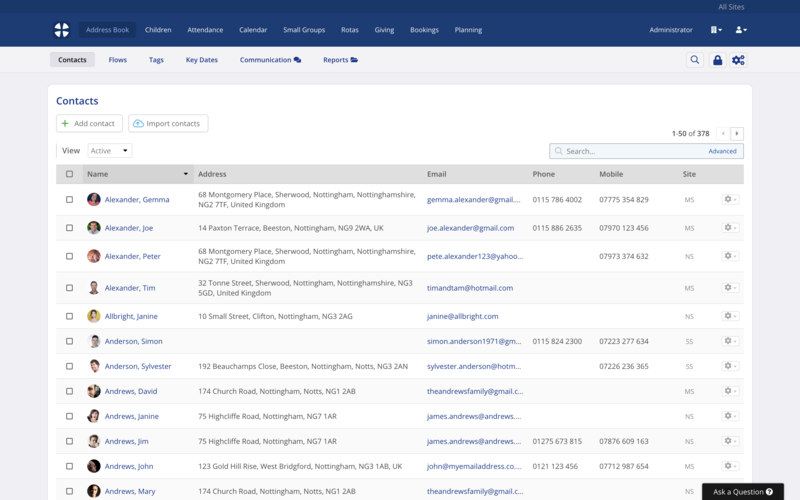 You can view or update your organisation's designated account contact in the Administrator > Profile section of ChurchSuite.